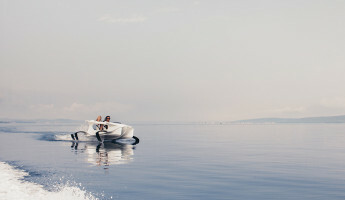 The flying speedboat of tomorrow has been revealed, the Quadrofoil electric personal watercraft. 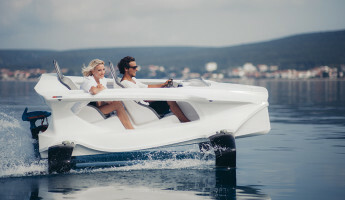 Equipped with an electric motor and special steering system, the two-seated Quadrofoil operates atop four hydrofoil arrays, raising it above the water and keeping it horizontal at all times. That means several things from a consumer perspective. 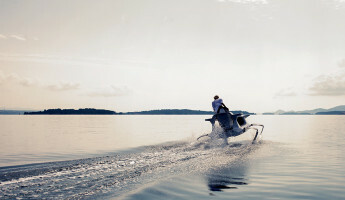 First, it’s the most environmentally-friendly watercraft of all time. 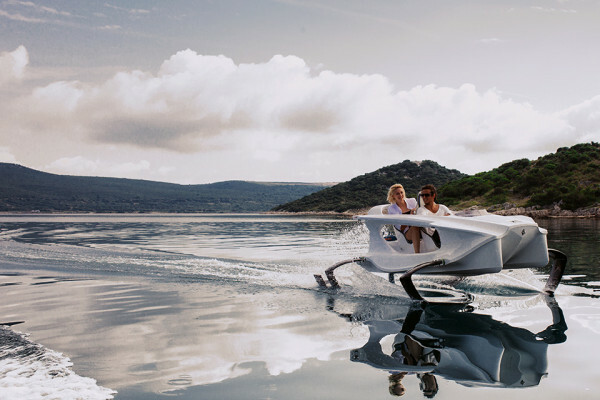 Second, because of the special steering system and the way the hydrofoils are designed, Quadrofoil remains horizontal at all time – no drift, and no risk of flipping. And last, but certainly not least, it creates hardly any turbulence with its passage. 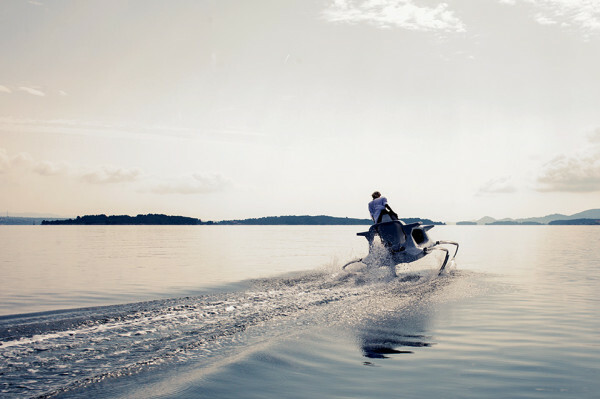 Combined with the fact that its electric motor is completely silent, this means that you can ride it pretty much anywhere you please – including in areas where personal watercraft would ordinarily be disallowed. Pretty awesome, right? Oh, there’s also an integrated touchscreen display on Quadrofoil’s steering wheel that’ll keep the driver informed about range, speed, power consumption, and battery power. 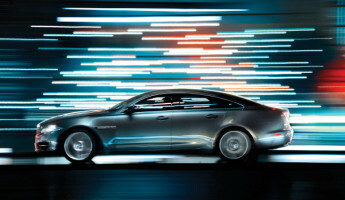 That touchscreen doubles as a key – without it, it’s impossible to start the vehicle. Presumably, it’s also waterproof. The Quadrofoil was also designed with safety in mind, it seems. Its anti-collision system is designed to reduce impact forces to minimum in case the vehicle’s struck by something, while its hollow hull makes it – according to the designers – effectively unsinkable. It also ships with a pair of life-jackets. 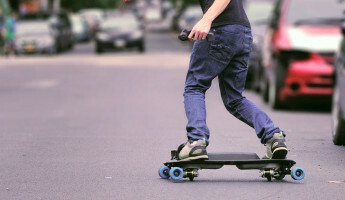 Now, you probably won’t be all that surprised to hear that a product like this isn’t exactly available for a pittance. 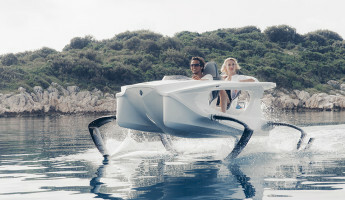 The Limited-edition, superpowered Q2S Quadrofoil is available for 22,500 Euros (roughly ($27,800 USD), with a target ship date of March 2015. 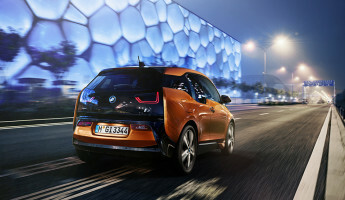 The Q2A Electric, meanwhile, retails at 15000 Euros ($18597 USD), and is intended to ship sometime in the second quarter of 2015. So, yeah – not exactly the sort of vehicle one would buy on an impulse. 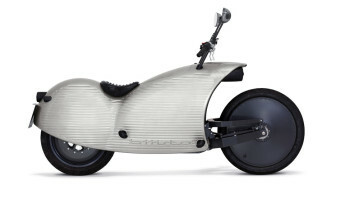 Still, though – if you’ve the money to spare (and a place to ride it), I can’t see any reason not to pick one of these up. They look absolutely incredible.